Broccoli Romanesco Brassica Oleracea is a vegetable native to the Mediterranean region. 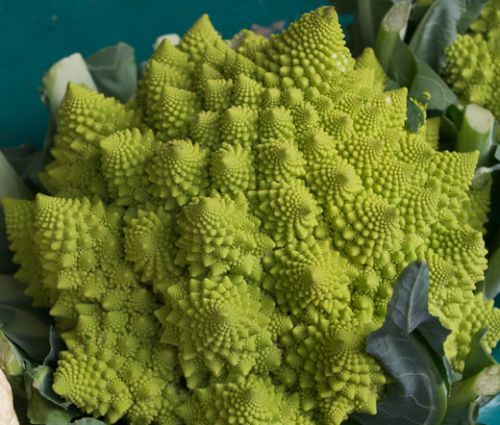 Broccoli Romanesco seeds are easy to grow, and this variety produces beautiful, uniquely-shaped, apple-green spiraling buds. For a fall crop the Brassica Oleracea seeds can be sown directly in the garden in later spring or early summer, and for a spring crop the seeds can be started indoors 6-8 weeks before the last frost and transplanted outside 2-3 weeks before the last frost date. The Broccoli Romanesco plants have to be set 18 inches apart. Broccoli Romanesco Brassica Oleracea has taste that is between broccoli and cauliflower with the flavor that is somewhat nutty, and the texture that is somewhat creamy. Romanesco Broccoli can be cooked the same way as cauliflower - it can be steamed, stir-fried, added to salads or even raw-eaten. The nice nutty texture and delicious flavor make Broccoli Romanesco one of the best vegetables for creating a flavorful vegetable dish.